"And what if I said I was ready for it now?" I paused and looked at him. "Can I talk to you about something? In private?" "Yes." I said and stood up with him "Let's go outside." I said and headed out the front door. "Oh my god he's gotten her pregnant. And... I just said that out loud," I said and took a bite of food. We got outside and I took a deep breath. "Alright, here goes. I'm not just ready to move in with Selene. I got this for her, before we left to come here." I reached in my pocket and pulled out the ring. "I want to ask her to marry me. And I know it's a big step and I know it's gonna change everything, I know all that. But I love her so much. I want her to be my wife." "Damn, that's gorgeous." I said and took the ring, looking it over "Have you talked to her Father yet?" "Yeah, it took me a long time to save up for and cost me a pretty penny too, but it was worth it. And no. I haven't talked to him yet. I'm gonna go over there tomorrow. Selene thinks I'm just asking him about us moving in together. But I'm gonna ask for his blessing." "Good job, Son. I'm really proud of you." I smiled. "Thanks Dad. So you're okay with this? Me asking her to marry me? You know Mom's gonna flip." I smiled too "Yeah, I'm okay with it. I'll take care of your mother, if she flips so don't worry about it." I laughed. "Alright. Thanks Dad. Man, I don't know if I can wait until tomorrow." "Then don't, go over and talk to Allistair right now." "You sure? I feel bad skipping out on dinner with you guys." "They'll understand, bring her by after you ask her if you want to." I nodded. "Alright, I will. See you later," I said and took the ring back, heading off for Selene's. I looked up as Brayden came back in alone. "Where's Jay?" "He had something he needed to go do, he'll be back later." "What's so important that it couldn't wait until we finished dinner?" "If it wasn't important, I wouldn't have let him go. He'll be back in a little while." "And... what is he going to do?" I couldn't help but smile at her "Just be patient." "I don't want to be patient. If you want to go in the other room fine, but tell me what's going on." "I want you to be patient because I think it's news you should hear from your son, not me." 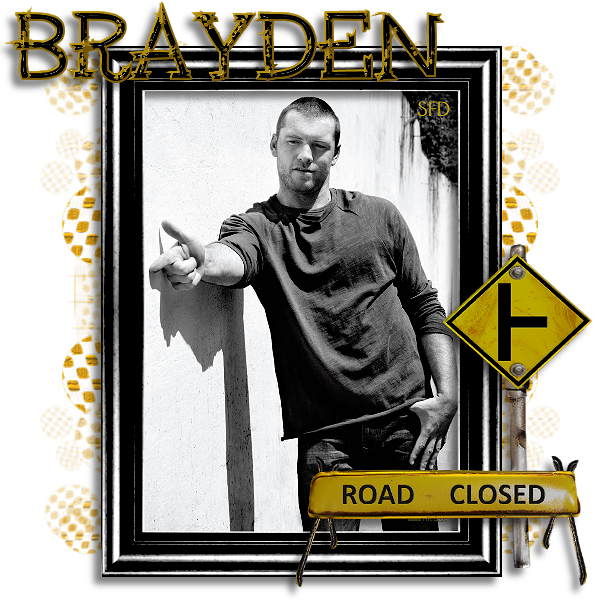 "And I'm not good with patience Brayden. My share of patience has been used up." "It's nothing to get upset about, I promise. Just trust me Adalee, it's something I want you to hear from Jay." I sighed. "I think you get more maddening every day." "One of my many talents, love." I told her as Jay came in holding Selene's hand "Thank god you're back. Your mother is on the verge of eating my soul."